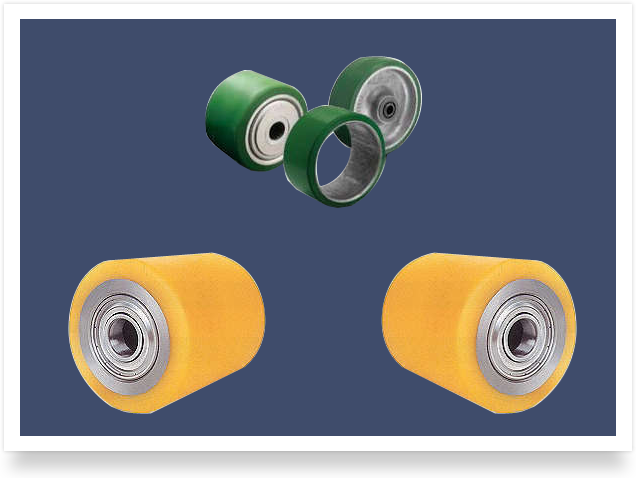 High Abrasion Resistance Suitability to Different Finishing Media. Guaranteed bonding with metal surface. Custom-made shapes such as spiral,radial and corrugated surface profiles. 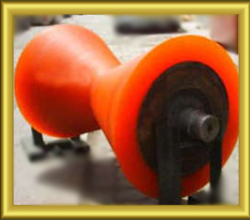 Available in different shore hardness as per customers requirements. Preferred by leading indian OEMs of finishing equipments. 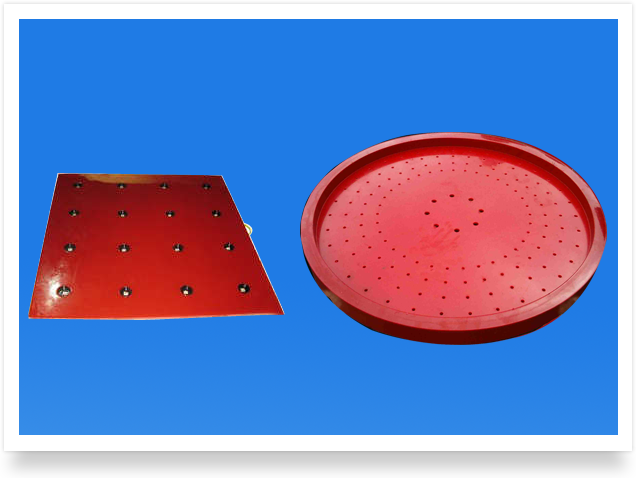 Sheet steel vulcanized with abrasion resistance polyurethane. Barrels & Drums Centrifugal Finishing Machine. Chute Linings & hopper linings. We proudly inform you that our Company is a ISO 9001-2008 Certified Company with accreditation from M / S. TUV, Germany. 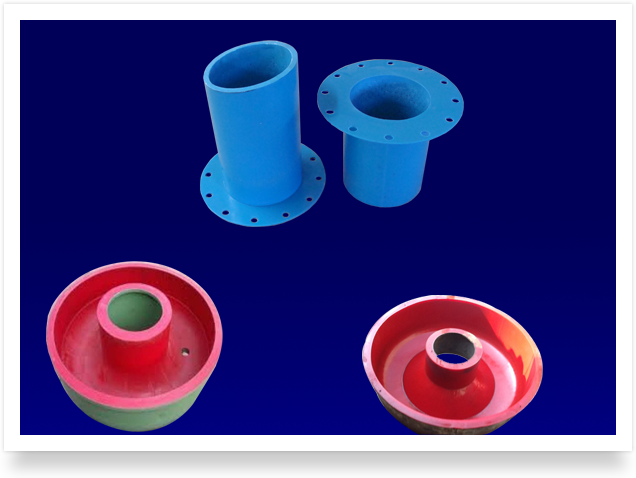 With the experience we have gained over the years in designing and supplying CAST URETHANE COMPONENTS to various Clients in different industrial Sector, we propose to offer a complete trouble free solution for your critical application.